The next five years will bring a reshaping of the global gas trade, the International Energy Agency (IEA) said Wednesday in its 2016 Medium-Term Gas Market Report. New liquefied natural gas (LNG) supplies are coming online just as demand growth in some major markets weakens, resulting in major shifts in global gas trade patterns. A weak outlook for Japan and Korea – the world’s top two LNG buyers - means that new supplies will need to find other markets. China, India and ASEAN countries will emerge as key buyers. “We see massive quantities of LNG exports coming on line while, despite lower gas prices, demand continues to soften in traditional markets,” said IEA Executive Director Fatih Birol. These contradictory trends will both impact trade and keep spot gas prices under pressure.” Dr. Birol added that the combined factors of cheaper coal and continued strong renewables growth were blocking gas from expanding more rapidly in the power sector. 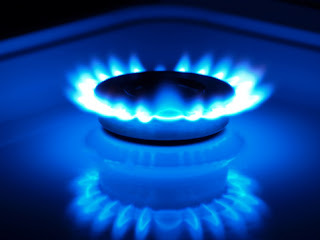 The annual IEA report, which gives a detailed analysis and five-year projections of natural gas demand, supply and trade developments, sees global demand rising by 1.5% per year by the end of the forecast period, compared with 2% projected in last year's outlook. Slower primary energy demand growth and the decline in the energy intensity of the world economy are lessening demand growth for all fossil fuels, including gas. As demand growth for coal and oil also weakens, the share of gas in the energy mix is still expected to increase – albeit modestly – by 2021. While gas demand is projected to remain weak, global LNG exports will increase substantially. Between 2015 and 2021, liquefaction capacity will increase by 45%, mostly from the United States and Australia. New projects in both countries have commenced ramping up production. Several others are at an advanced stage of development. By 2021, Australia will rival Qatar as the world’s largest LNG exporter and the US will not be far behind. Fundamental developments point to oversupply in the market over the forecast horizon of this report which should keep spot gas prices across the globe under pressure: “unwanted” LNG supplies will look for a home in Europe, due to the flexibility of its gas system and well-developed spot markets. As a result, intense competition will develop among producers to retain or gain access to European customers. “We are at the start of a new chapter in European gas markets” Dr. Birol said. Ample LNG supplies will also affect markets outside Europe. Weaker-than-expected demand in Asia is leaving several large LNG buyers in the region over-contracted. This should help accelerate a transition towards more flexible contractual structures. Moreover, with oil markets expected to rebalance before gas markets do, renewed pressure to move towards hub pricing and reduce oil exposure in long-term contracts will likely re-emerge before the end of the decade. Dr. Birol warned that today’s oversupply could foreshadow a number of supply-side challenges and security risks down the road, noting that a growing level of LNG export capacity had gone offline during the past five years due to technical and security issues and that such problems could get worse with low oil and gas prices. As producers slash investments to refocus on cost reductions and budget savings, he said that such efforts may be too late for global gas markets to rebalance during this decade, but could sow the seeds for tighter markets into the next decade.